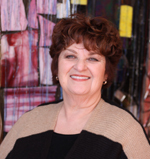 Dr. Taliaferro has 42 years experience as a nurse, with 39 of those years in higher education. She earned a PhD from Texas Woman’s University in 1991, Master’s Degree from the Medical College of Georgia and a BSN from Murray State University in Murray, KY. She is certified as an online teacher and has taught online since 2001. Dr. Taliaferro has been actively engaged in research and scholarship since 1988. HIV has been her primary phenomena of interest since her doctoral work in 1991. Over the last 10 years her research has been international within several countries of Africa and Finland. Dr. Taliaferro’s research methodologies are both qualitative and quantitative with various designs from experimental to educational. Her most recent studies have been in Finland working with students on compassion and empathy. Empathy and compassion in nursing students in Finland and the US.